FLORIDA RIDERS where You at?? Re: FLORIDA RIDERS where You at?? 78 t-tops T/A 4speed 455HO engine. Working on it..
You're really getting around the boards aren't you? I saw you on tampasportbikes........welcome. This site has the best information on Busas without a doubt! "100% of the shots you dont take dont go in the net"
Still here in Tampa. Still have the old girl. Aint like the old days though. You a part of TSB site? Yea, but I haven't trolled they for a long time. Ok...You going to the QSL tomorrow by any chance? Naw... but have a good time if ya go. Lake Worth here! (Just south of Palm Beach). I see a few nice Busas at the thursday night bike night downtown! And hey! It's thursday! Anyone make it out to Palm Beach Int. Race Way anymore!? (Formerly and always to us natives 'moroso motor sports park') I haven't been out there since the buy out and renovations. I still remember the night Juice went down. Any bartow FL riders ???? New owner here in Palm Coast. Anyone want to meet up and do a ride? 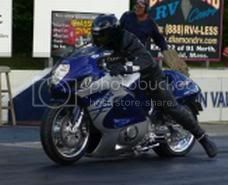 wow..that was along time ago..florida was fun..i was wheeling my bike over the bridges in clearwater..they had a huge drag race crowd down there and met some cool people..
Live in Inverness off 44, but in Orlando alot working security downtown at "Finnhenry's Public House". Its one of the best bar's downtown Orlando so if your out menchin my name "Mike" to get in if their charging.